The Perfect Gift has the perfect gift for you and everyone for every season and all occasions – Birthdays, Grand Openings/Congratulatory, House Warming, Weddings, Anniversaries, Convocations/Graduation, Valentine, Newborn, Condolence/Sympathy, Chinese New Year, Hari Raya, Deepavali, Halloween, Father’s Day, Mother’s Day, etc. We also cater for special events and occasions. Our business is to help people spread love, cheers, warmth, friendship and good fortune to families and loved ones, friends, business associates, etc. 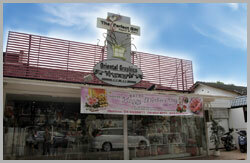 through our unique and wide range of gifts and gift baskets, flowers, hampers, fruit and food basket, etc. We have a variety of fresh flowers bouquet such as Roses, Lily, Orchid, Sunflower, Gerbera, Carnation, etc. We also have Balloon Bouquet, Soft Toy Bouquet, Chocolate Bouquet, Artificial Flowers, Fruits and Food Baskets, Cakes, Wines, Jewelleries, Perfumes, and Special Gifts sets. 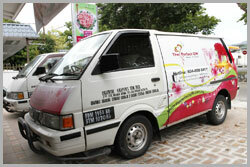 The Perfect Gift started in 2006 and is the brainchild of Oriental Graphics Sdn Bhd. Our business has been growing ever since. Our customers are not only from Penang but from all over Malaysia. Please browse through our online catalogue to select your gifts. If you need something special that is not in our catalogue, do call or email us as we also have tailor-made gift especially for you! At The Perfect Gift, you can be assured of our quality and service. Our gifts, flowers, hampers, etc. are carefully chosen to ensure the best quality and freshness. They are packed and created with attention to every detail so that they arrive in perfect condition. To find the perfect gift for loved ones, family and friends, shop at The Perfect Gift! How to say it better than with our specially packed gifts, flowers and hampers! Get your perfect gift now!